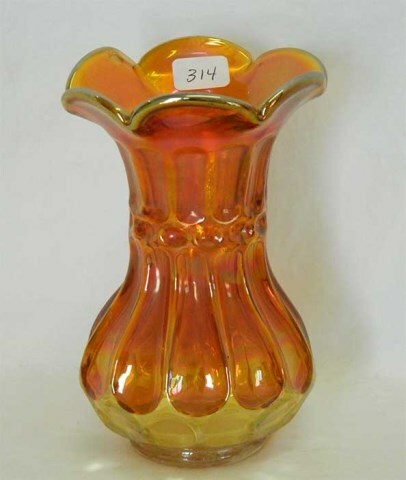 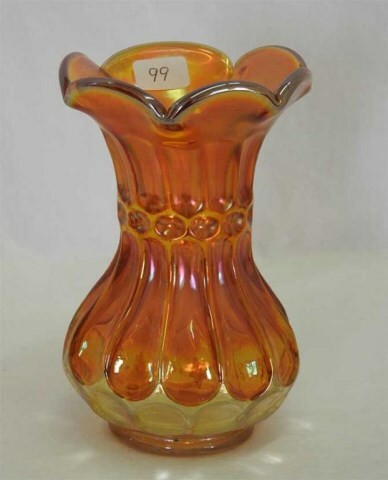 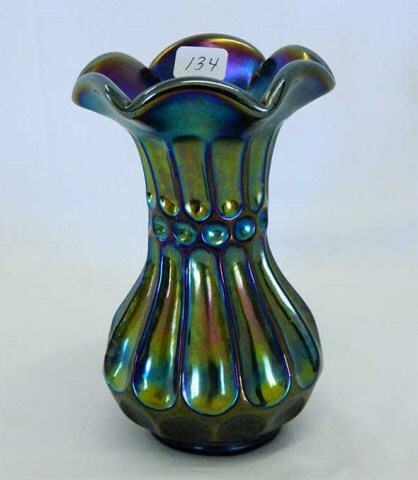 These 5 to 6 inch vases have more charm than a photo can show. 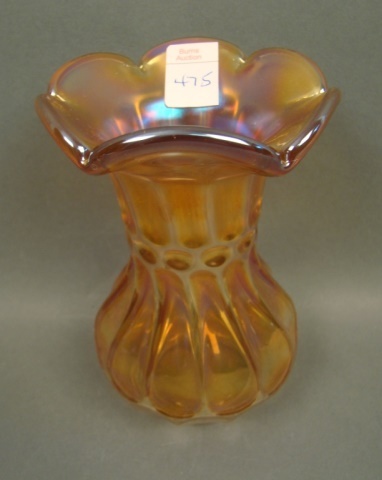 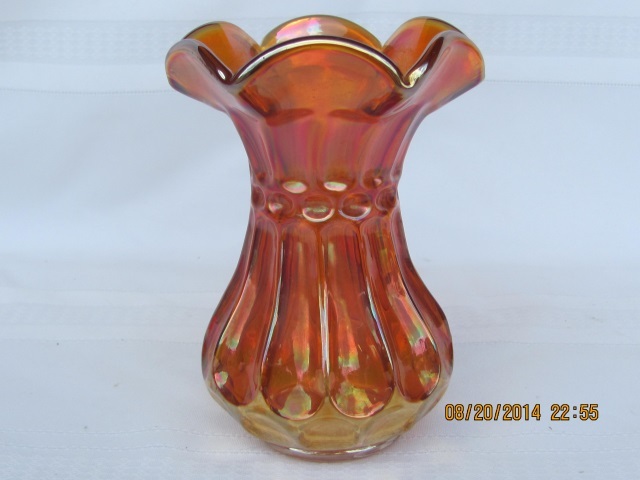 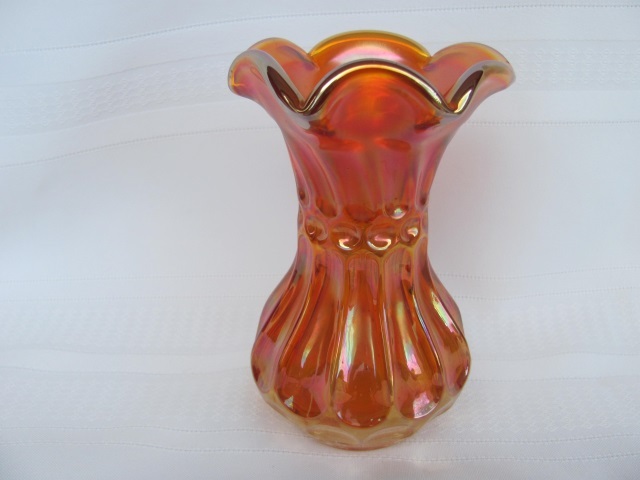 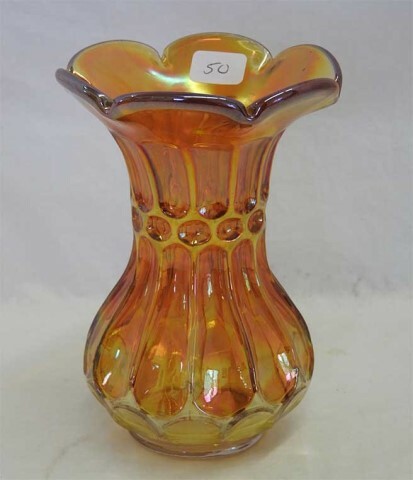 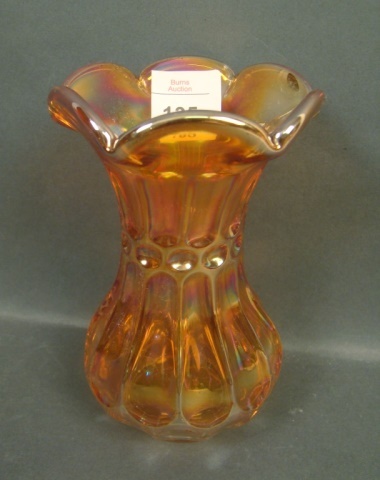 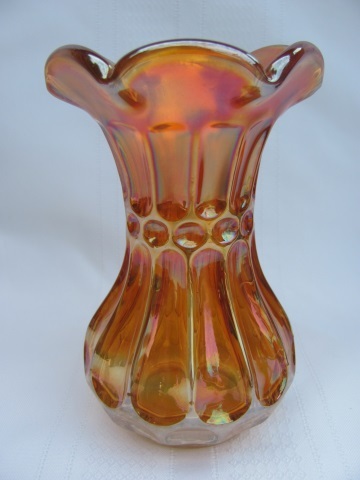 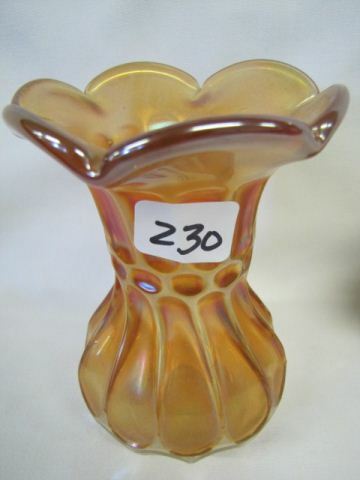 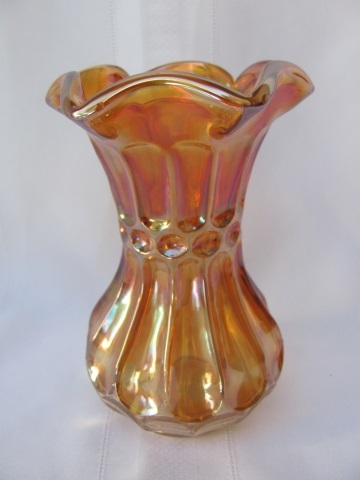 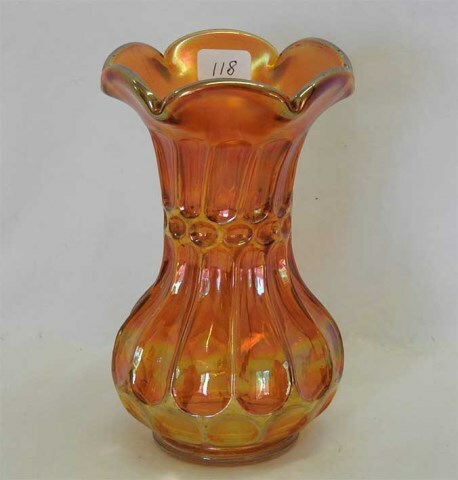 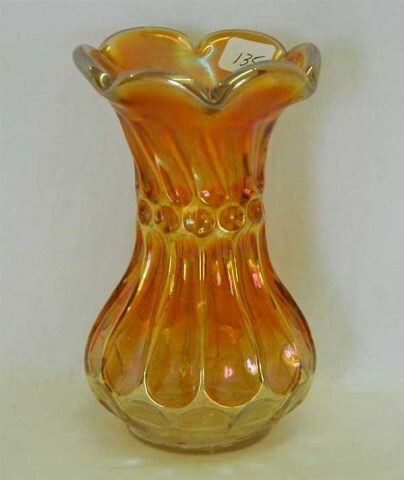 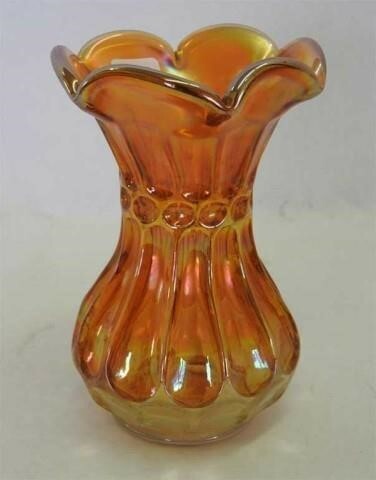 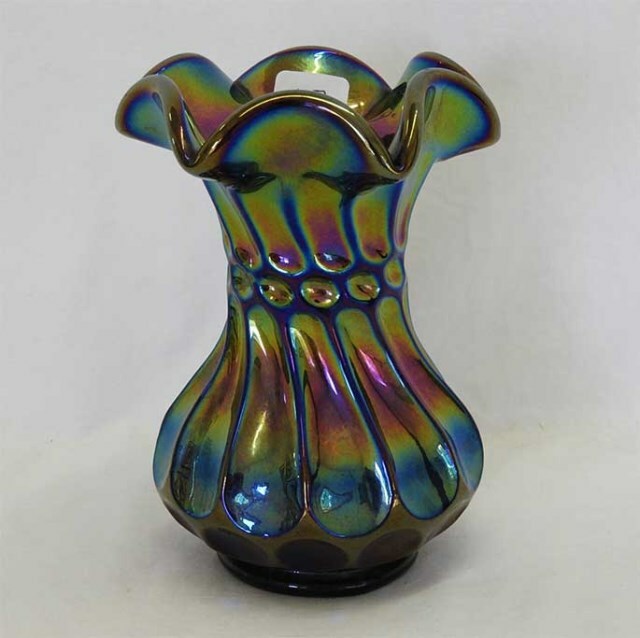 Fenton acquired the molds and have reissued them in several colors other than the marigold and purple used for the classic examples. 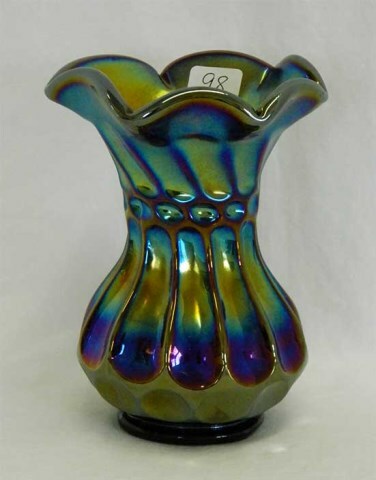 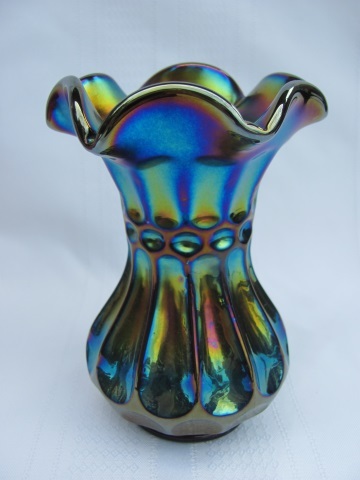 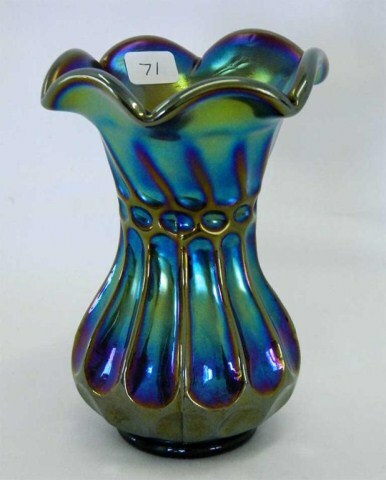 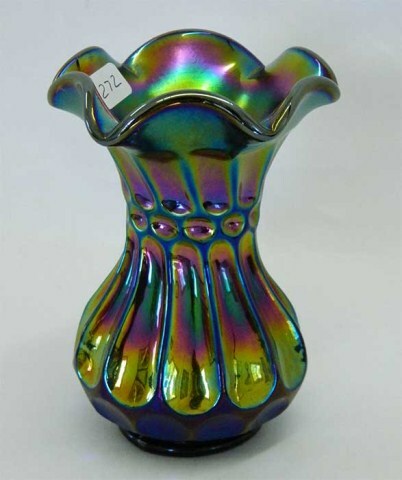 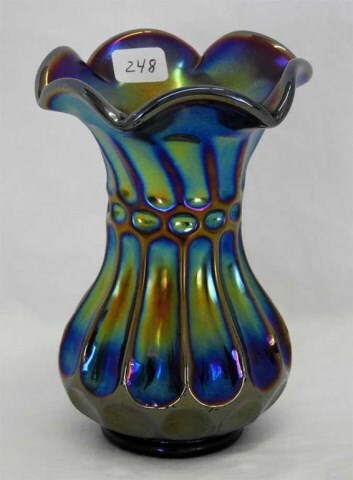 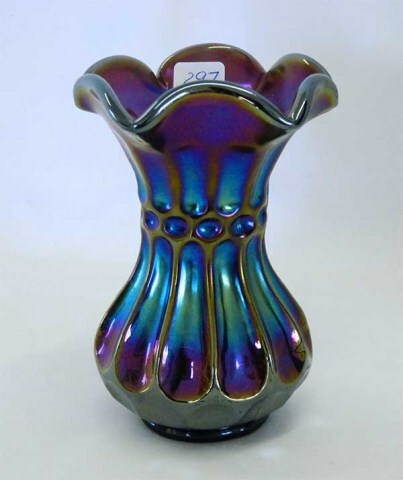 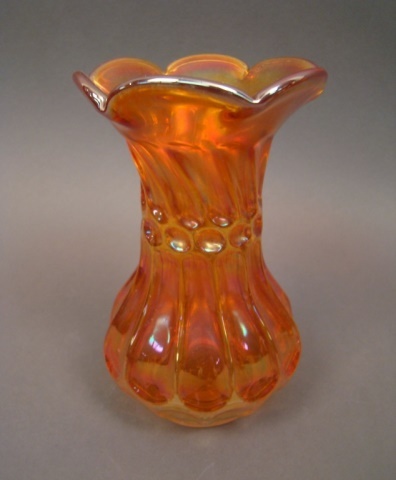 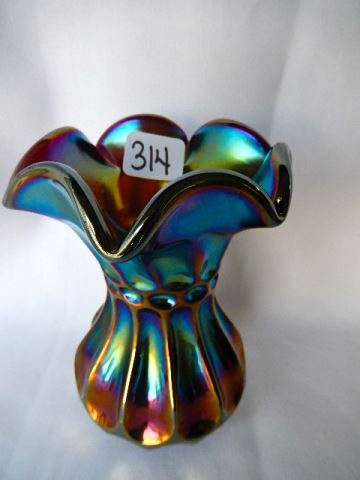 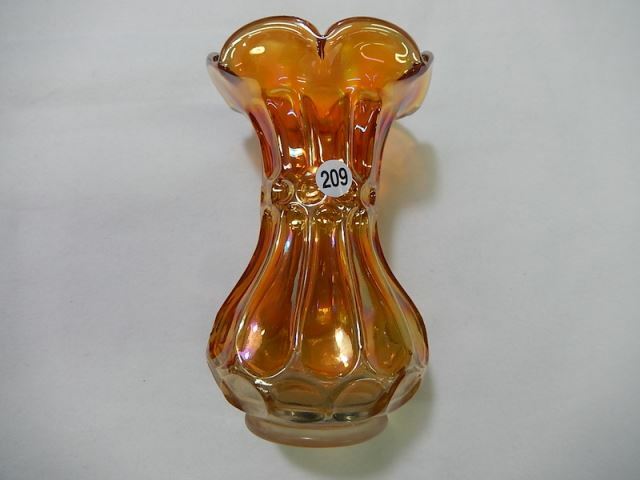 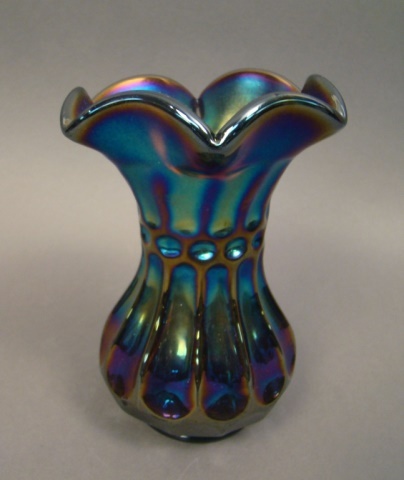 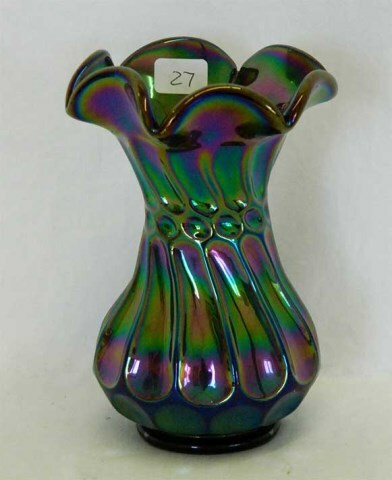 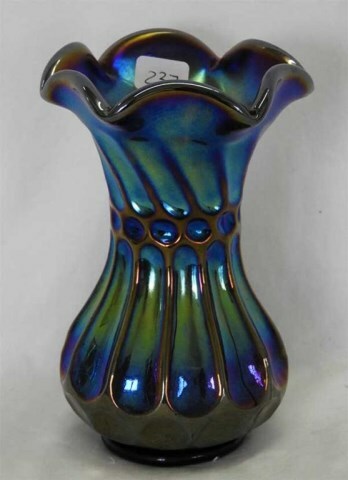 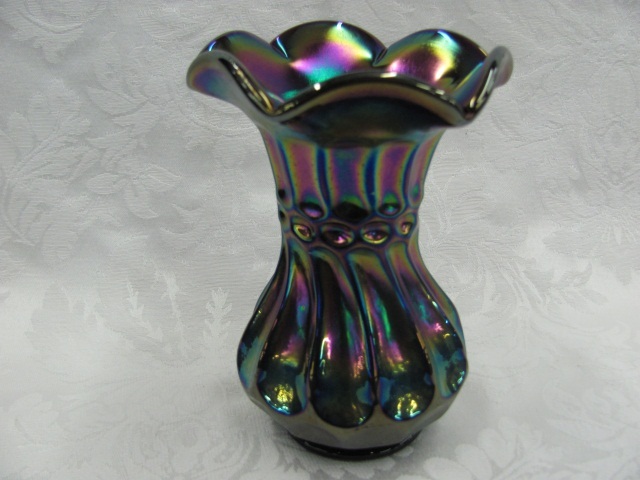 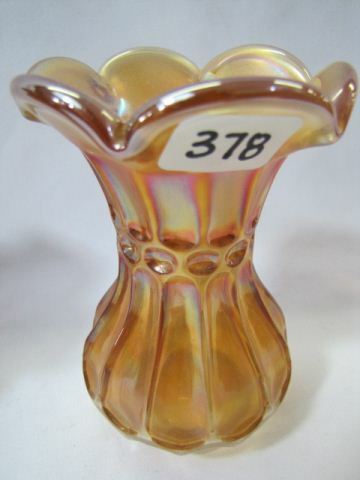 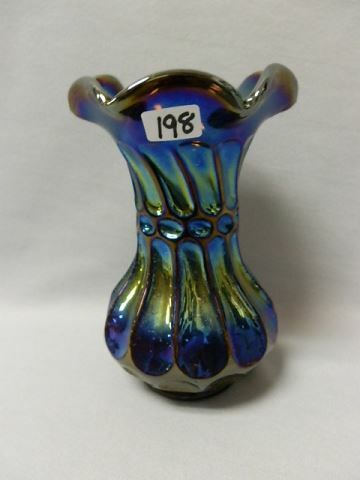 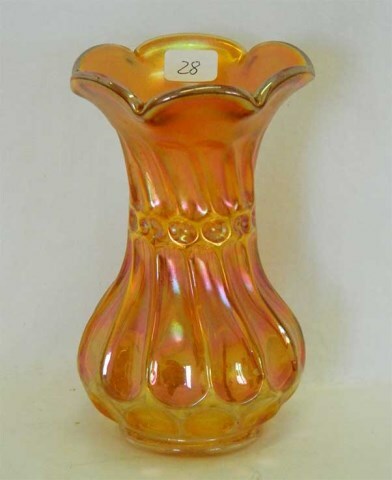 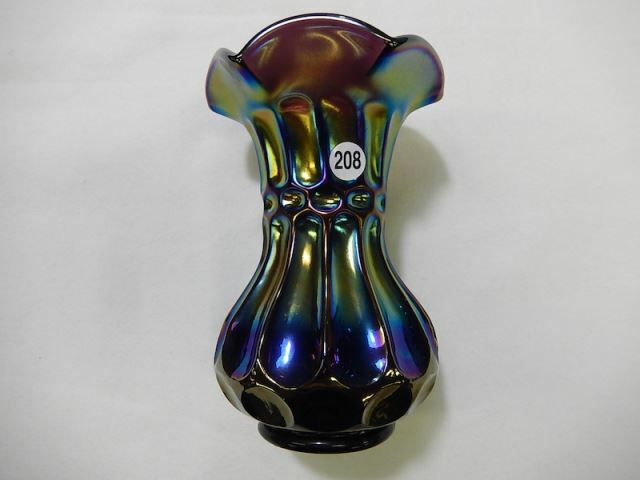 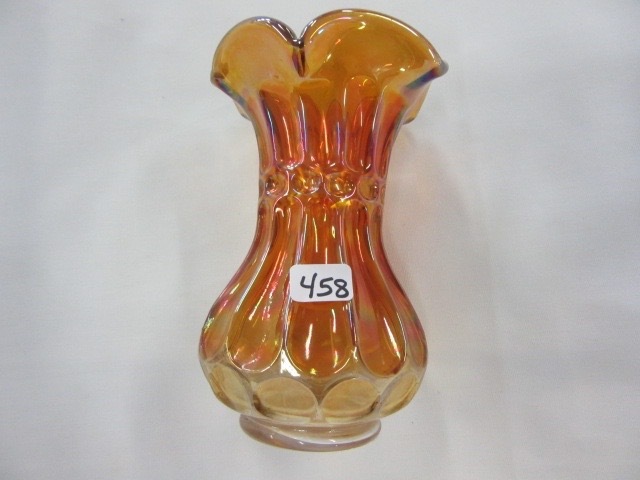 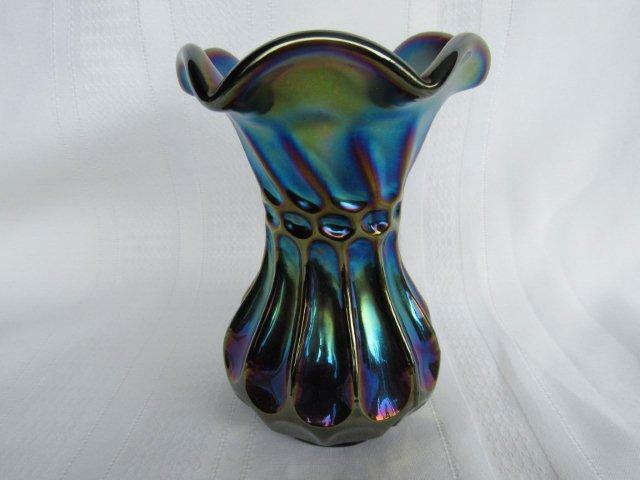 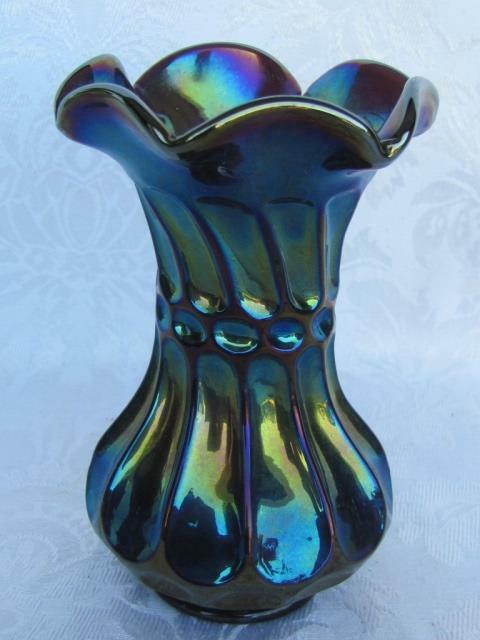 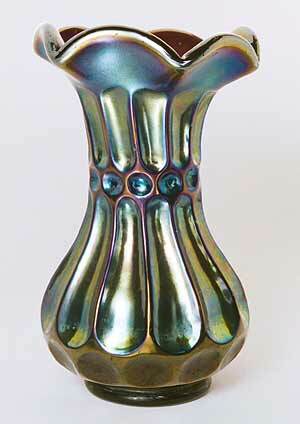 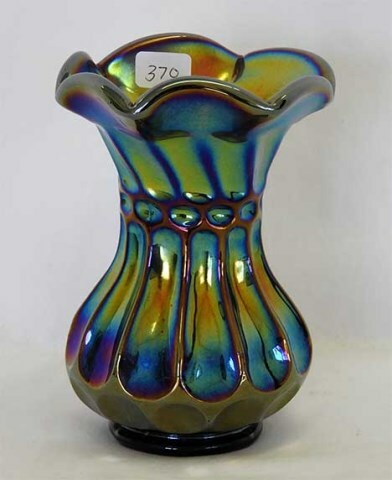 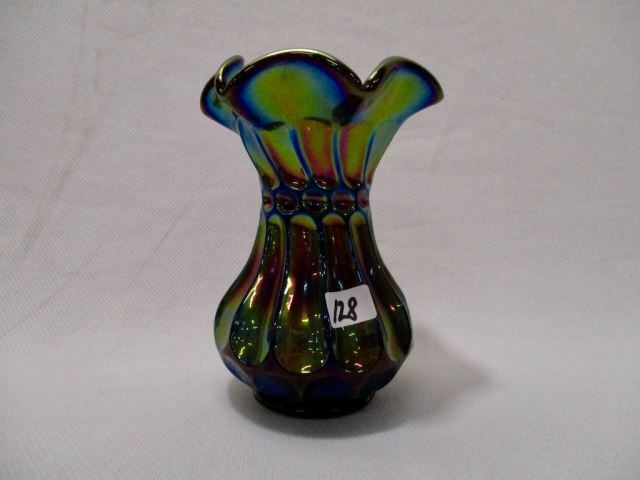 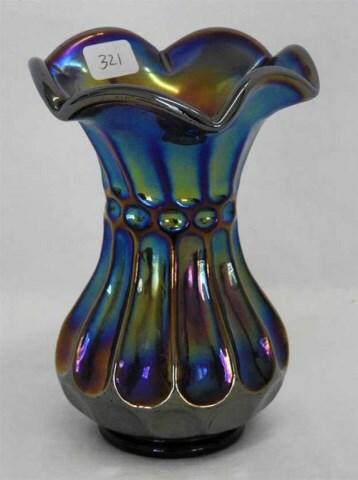 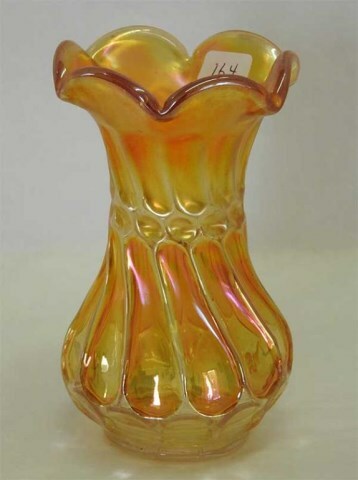 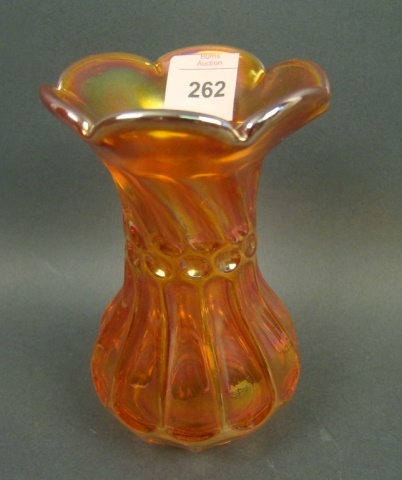 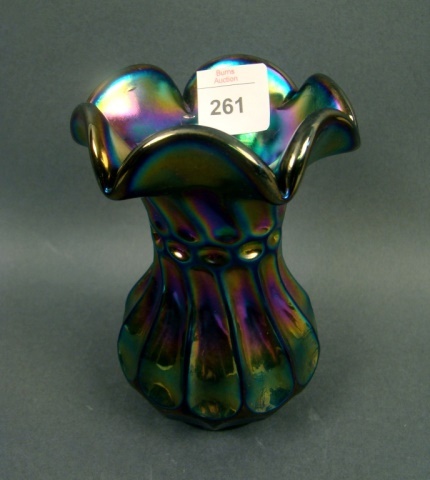 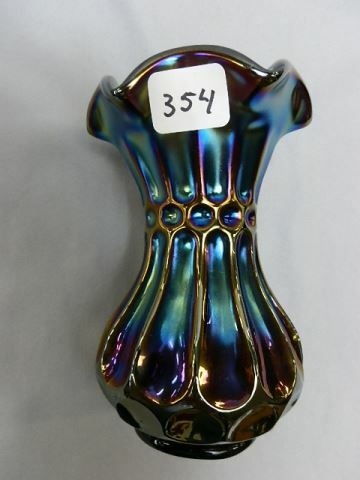 Fenton has made them for both the Lincoln-Land club and the International Carnival Glass Association. 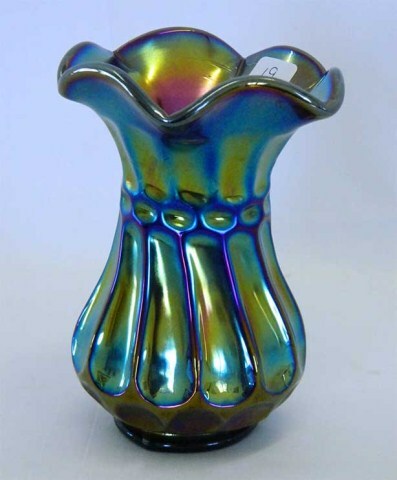 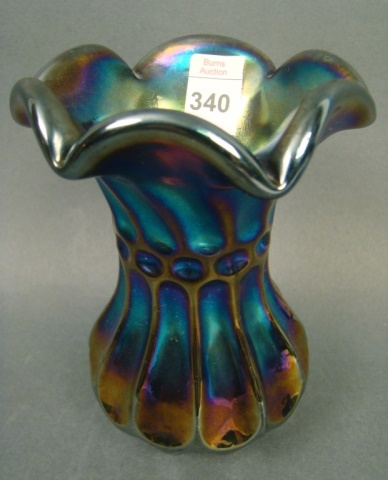 I've seen the reissues in aqua opal, peach opal, and sapphire blue with enameled floral decorations.